"It was actually a terrible morning to run by the hotel on two occasions, the half-way point and the 22-mile point. At both of those times I had to fight with myself to keep moving as opposed to dipping into the hotel to shower up and catch some sleep, or something. I did not have it today and I have no idea why." 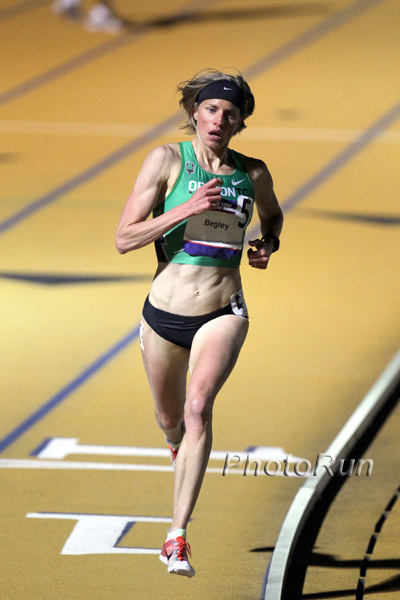 - American marathon star Deena Kastor talks to David Monti about her 2:36 performance in London that started a big debate (here and here) on the LetsRun message boards. Monti is the elite athlete coordinator for the New York City Marathon, where Deena will run her next marathon. 90 minute 1/2M - can I pull it off? Did anyone see Vig get assaulted by security at Penn? It's True: Usain Bolt Brought Penns To A Halt At a meet always run like clockwork, Bolt's celebratory lap took precedence over tradition, schedule. Even his warmup strides caused races to be held up due to crowd noise. *Oregon Dominates Men's DMR: Wheating Jogs A 3:59 In DMR 4 x Mile and 4 x 800 sweep for Wheating, Centro Jr, Fleet, Greer, Acosta and Co.? CAL Brutus Invite: Predictions for Rupp In 5,000m, Womens 3,000m, Coe In The Mile ... Rupp 13:32 win on windy night that didn't produce any remarkable times. Message Boards: Amy Begley opens up the season with a blazing 8:53 3k!!! Lagat Gets Beaten In Mile At Drake! LRC Robert Kiprono Cheruiyot Wins In 2:05:52! Erkesso Survives On Women's Side! Yes, a 2:05 in Boston has now occurred. 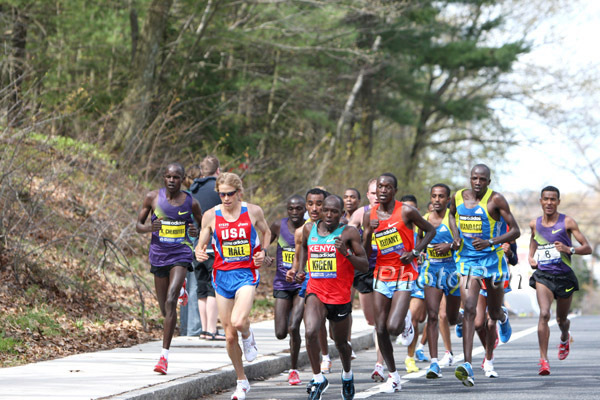 Cheruiyot battled last year's champ Deriba Merga until past the 24th mile mark and then it was just him against the clock, as the 21-year-old made history in Boston. 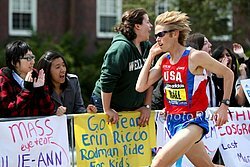 American Ryan Hall ran faster than any American ever has in Boston to finish 4th, as Meb Keflezighi ran a very game race ahead of Hall for most of the race and finished 5th.